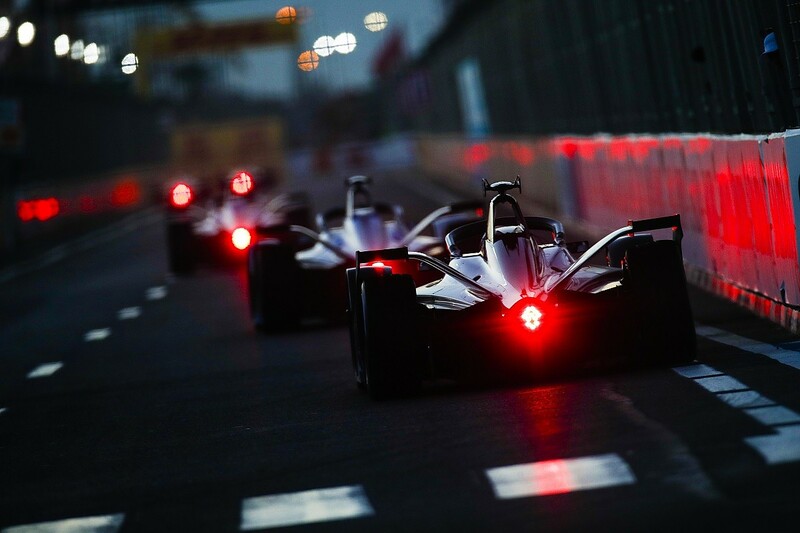 The landmark move to a brand new car, coinciding with the introduction of enough battery capacity to last an entire race, underlines how far FE has come in just a handful of years. 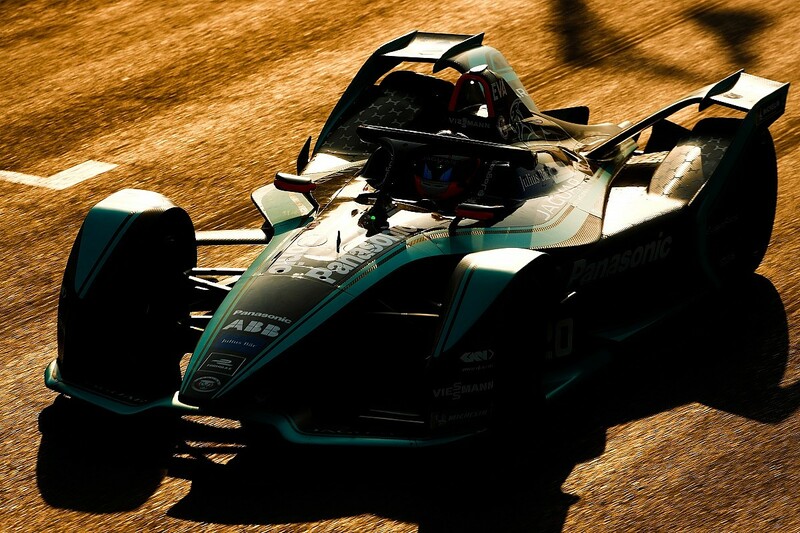 At the last round at Marrakech, Sam Bird's 2019 pole time of 1m17.489s was over four seconds quicker than Felix Rosenqvist's pace-setting lap during qualifying two seasons earlier. This is an emphatic demonstration of how electric car technology can evolve once offered a chance to do so in a high-performance environment. Let's rewind to day one for a moment, back to the inaugural race in Beijing in 2014 - if only to remember what the first FE cars were armed with. 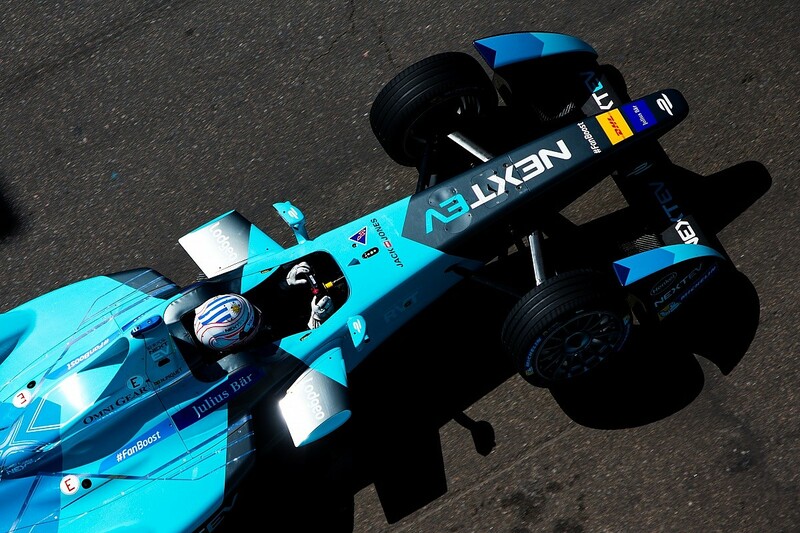 It seems curious now that, for a series pioneering the next developments in electric mobility, FE was a spec series. Although the Williams Advanced Engineering battery remained in use for all four seasons run with the original car, each of the 10 teams emerged in season one with identikit five-speed Hewland gearboxes and McLaren-developed motors. In those humble beginnings the series had to get established and prove its on-track presence, driven by the desire to attract manufacturers. The 'hook' was the opportunity to showcase their electric motor technology on a global stage. For that to happen meaningfully, those manufacturers would have to build their own motors, inverters, gearboxes and other components - an opportunity granted as powertrain development opened up. After a season in which everyone essentially ran the same technology, season two's rulebook offered a bit of a fork in the road, and the cast of manufacturers duly took off in different directions. Since then the tech permutations have included running either one or two motors, and employing everything from five gears to no gears. The twin-motor entrants mount their 'pancake' motors either side of the differential to drive the rear wheels directly. Two teams even continued to run the season one architecture, which proved to be competitive enough to be a match for more developed powertrains on occasion. Mahindra commissioned McLaren and Hewland to push the original components further to eke out as much performance as possible. This 'version 2.0' extracted the maximum from the motor with just three gears instead of five, crucially reducing weight and minimising the time each driver had to spend off-throttle. You have to wonder why, when torque is almost instantaneous in an electric motor, the earlier cars were kitted out with a full set of gears. "It's about efficiency of the motor," says DS technical chief Xavier Mestelan Pinon. "In that respect, an electric motor is like a gasoline engine - you have a range where the efficiency is very good and another range - maybe in the low speed or high speed - where the efficiency is not so good. "So when you have two or three gears, it's easier to be in the good range. But at the same time, when you add another motor or another gear you add more weight to the powertrain. "Clearly, it's a compromise with efficiency, weight of the powertrain, et cetera." Nonetheless, the number of gears has dropped every year - 2018-19's field all use one gear each to drive the wheels. After four years of development, each manufacturer has been able to find a larger range of peak efficiency, meaning that the inverter and motor are converting and using energy with minimal losses. "Some of the spread you get with the power and torque curves against speed flattened out very quickly," explains Phil Charles, Jaguar Racing's technical manager. "So as we've gone on it's quite clear that the number of gears reduces. "It's not like an internal combustion engine, where you've got a particular sweet spot in your power curves. That's not the case here, where you're limited on power so you have a flat section and a section where you can see your torque shape coming in. "As [the technology] has grown, the efficiency across that power-limited area has flattened out and therefore you don't need to spend a short amount of time in one window, you can spend more of that with the efficiency curve flattened out - so you don't need to change gear. As the motor technology has evolved, the gearbox has trended with that." Although there's still been a degree of convergence in determining powertrain layouts, the jury's still out on whether to go with one or two motors. 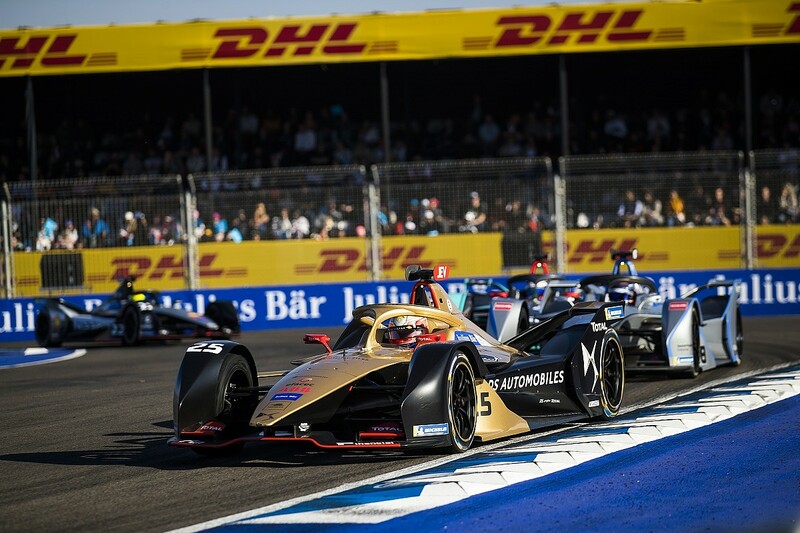 DS - when tied with the Virgin Racing outfit - had pursued a pair of motors in season two, while NextEV - now the NIO team - tried both longitudinal and transverse twin motors. It's an open secret in the paddock that Nissan has started its new relationship with the e.dams team with its own interpretation of the twin-motor arrangement. There's certainly potential in the design. Each wheel can be controlled directly by a motor through the differential, and reduces the losses incurred through transferring power from the motor via a gear - as is the case with a single motor. While twin motors have their benefits, the weight penalty of taking on an extra motor means that manufacturers have to find ways of reducing the weight of other components - or risk running with an unbalanced powertrain. Memorably, NextEV were plagued by weight issues in 2015-16, going from winning the title with Nelson Piquet Jr in season one to propping up the order in the second season. In those formative years, different motor and gear layouts were suited to different circuits, but the evolution of technology has helped the field work towards a more one-size-fits-all solution. "It used to be a huge difference [between teams]," says Virgin Racing team principal Sylvain Filippi. "You had cars with single-speed and multi-gears and a lot of very different designs and layouts. Now, not so much. "Everyone's running single-speed cars and it's all very highly optimised, and the main reason is that the development of the electric motors now in these cars didn't exist five years ago. The ability to put so much torque through such lightweight motors just didn't exist then. "Five years ago, you had the choice to have all the torque but weight was heavier, or be on the weight and produce less torque. "Now, you get to a point, a sweet spot where you have enough torque for all situations and you're on weight. That's pretty amazing in terms of technology." The sheer scope of development in those first two seasons meant Jaguar arrived with much catching up to do - working at length with Williams Advanced Engineering to develop a powertrain with plenty of scope for improvement. "I arrived at the start of season four," recalls Charles, "and my interjection was quite timely. Jaguar as a team got up and running very quickly in season three, and I came in after that phase - [and] we could really kick on. "When we first started, the rear of the car was a metallic maincase and all the teams had carbon. That's just one silly little example, but the more important things like the motor, inverter, the drive components - we did a big step. "All the internal bits are going bananas as well. If you tried to race now with our season three powertrain we'd be in big trouble." Under the skin, very little is the same compared with earlier generations. The complete aesthetic overhaul of the sport with the Gen2 car now puts a face to the silent technological arms race, and the new battery - provided by McLaren Applied Technologies - has prompted the teams to explore the limits of the motors. The previous-spec Williams battery unit offered 28kWh of useable energy, almost half of the 54kWh provided by the McLaren energy store, and that huge increase in capacity comes with a minimal increase in size. Although both energy stores are essentially giant lithium-ion batteries - not dissimilar to the battery powering the device you may be reading this from - the careful selection of metals inside each cell has almost doubled the energy able to be stored within. 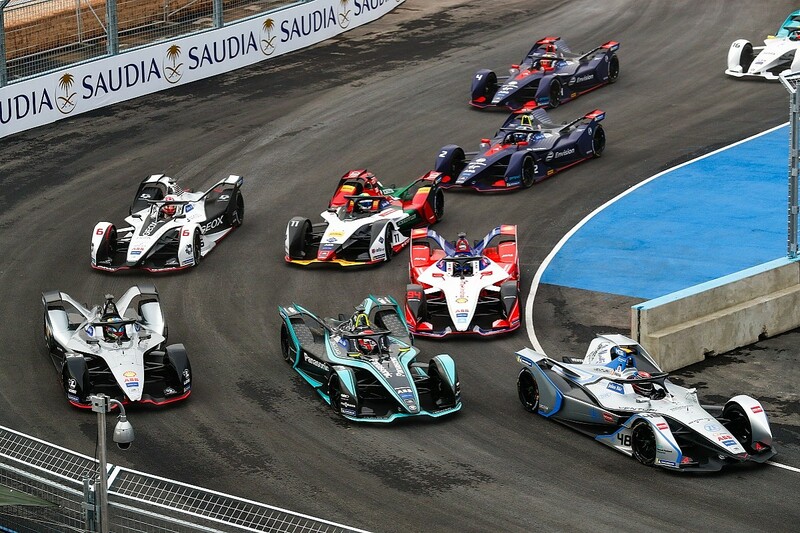 Even though cars now have to cover a full race distance thanks to the elimination of car swaps, the advancements in regeneration have improved, and each driver can claw back even more energy during the race. Furthermore, the maximum allowable power on a hot lap is now uprated to 250kW, up by 50kW from the previous generation, and each manufacturer has had to take the biggest step forward yet in order to extract as much efficiency as possible. There's also the added factor of 'attack mode', where each driver gets an allowance of an extra 25kW of power - washing away the lingering taste of car swaps with a new element of tactical driving. "We're all given the same amount of energy," Filippi says, "and we have a certain layout, so you have to work out the most efficient way to deploy that energy around that layout. You can do a lot [with software], and these cars now are so complex, there is even more for the drivers to do. "When you look at all of the FE drivers driving at speed on these city tracks with no margin for error, changing settings all the time on the steering wheel - it's crazy!" While FE's second generation has only just begun, such is the rate of technological development that attention has already turned to the next iteration of cars - Gen3 - pencilled in for season nine. With steady powertrain convergence likely, talk of all-wheel drive cars would undoubtedly offer a new challenge for the engineers to sink their teeth into. 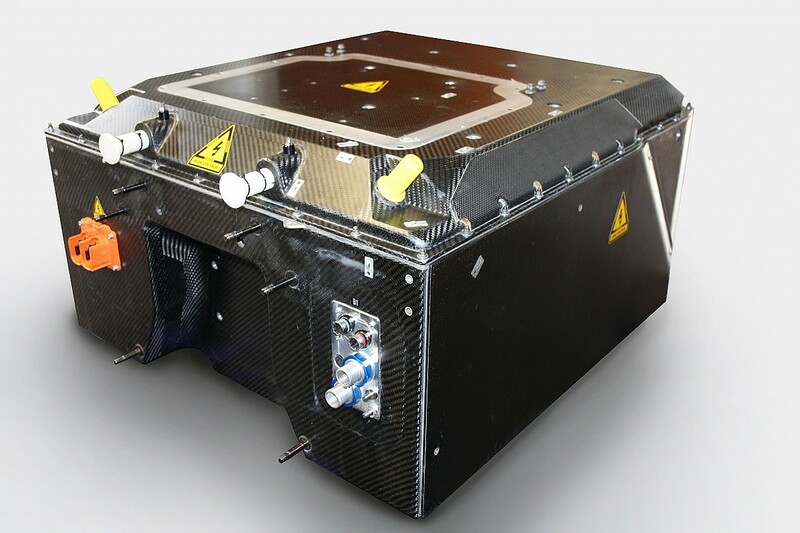 As the goalposts of battery technology continue to be moved, an even greater capacity with high-performance cells will ensure that teams are able to implement even more powerful motors and recovery systems. 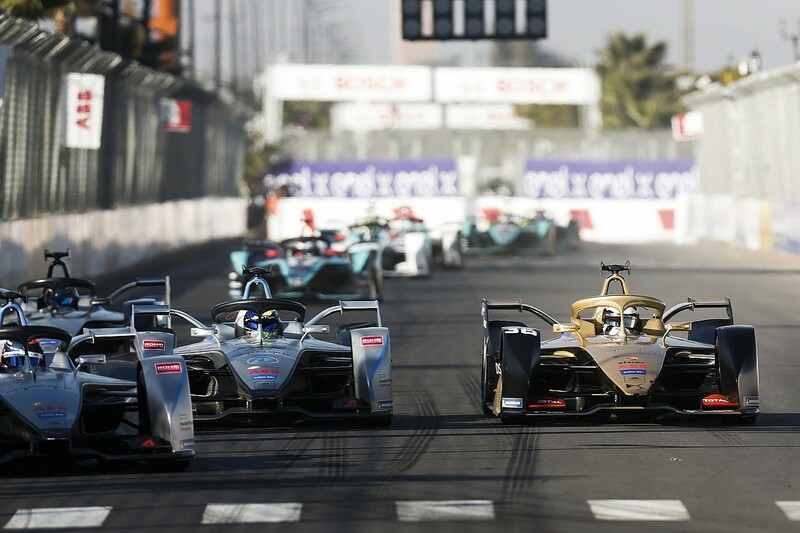 Soon, FE cars will be hurtling around at such pace that they'll outgrow the current cast of street circuits - and will need even bigger arenas to do battle. Perhaps, in the not-too-distant future, we'll get to that vital question: can FE match Formula 1 blow-for-blow? If the current rate of evolution continues, don't be surprised if it can.